I would like to express my appreciation on behalf of Sovereign Pools for the outstanding support and technical expertise we have received from Shopping Websites. We are thrilled to have our website up and running. The image and ``feel`` I was hoping to convey has been achieved in such a short time frame. Shopping Websites exceeded my expectations with his dedication and customer service. I have no hesitation in recommending Shopping Websites and will look forward to continuing our relationship for many years to come. 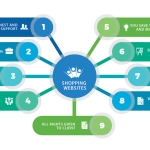 Over the last 8 or more years we have used the services of Shopping Websites for a number of varying media and Internet commissions. We find that their skill and competence a valuable support to our companies. I offer this testimonial highlighting one particular quality of Shopping Websites that stands out. They have admirable work ethics and their ongoing support for their clients is highly respected by us. I can always rely on a better that expected result on an assignment. I value the work they do for us and am delighted with the new website they have created for my daughter. I would suggest to any prospective new client that if they take you on as a customer you will be very pleased with their creative input. Not withstanding all else they are still after all these years provide service at the most completive costs. I'd like to to say a huge thank you to Shopping Websites for designing my web site. They were so helpful and knowledgeable, they gave me loads of ideas and professional advice on how to promote my business, even down to the minor details. They took the time to make sure that I was 100% happy with the end product. If I was looking at designing another webpage, then I wouldn't go anywhere else. Thank you Shopping Websites ,. The Gold Coast Arts Centre has been a client of Shopping Websites for over 5 years. We find their product of high quality, fast turnaround with friendly service. We are very happy with their efficiency and professional expertise and can happily recommend their services to future clients. We would like to thank Shopping Websites for their ongoing commitment to getting our webpage finalised. Not only they have delivered a professional and appealing website, they have displayed a considerable amount of professionalism and customer service. Their ongoing commitment to delivering a site that met our needs and requirements was impressive. We have no trouble in recommending Shopping Websites to any business or individual who wants a customised web page. I had the good fortune to find OAVS in the Yellow Pages after dealing with a second-class webmaster. Their recommendations and subsequent modifications to our website have not only enhanced our image but were carried out promptly and efficiently. My emails are answered within the hour and in a language I understand. I have not hesitated in recommending OAVS to my family and friends as a first-class webmasters. Great choices of ladies footwear for all occasions. Professional service from the outset, Very happy with web design and good communication for easy training and advise in times of need. They are a pro in web page design, no hesitation in recommending their services. The Shopping Websites service is second to none. They made some updates to my existing site and after experiencing difficulties with other service providers, I was very pleased to see changes made fast and smooth. I am now hosting with Shopping Websites and look forward to our on going relationship. If you are looking for a company that cares about your business then you have come to the right place. OAVS offers a service that is top rate. Starting up a business is stressful enough in itself without all the extra worry and consideration of getting up a Website. You guys were the consummate professionals. You put me immediately at ease , took my concerns and ideas on board and imparted unbiased specialized knowledge. I love the finished product and feel confident that all my future dog and cat clients will navigate my site with ease - which is a very important consideration. Another Website I wouldn't consider going anywhere else. Like all of your other customers - you have another who is extremely pleased. Our new website is now a strategic tool that will show customers of our capability and commitment to the Military and Aviation sectors of Australia, New Zealand and surrounding region. As we continue to grow our business, we recognize the need to provide accessible, detailed information on the services we will provide through our trading partners, and from our own capability. Our aim is to be the most trusted and recognised service provider within the Defence and Aerospace Industry, and we believe you have helped us make the first step. We were so lucky to have found Shopping Websites ! Thanks to their cost effective pricing and personalised service, we now have the professional website our business so badly needed.... Not to mention their willingness to go way beyond ``the call of duty``, to help with prompt, friendly advice and direction to help with other website and marketing services. We now consider Shopping Websites to be an essential part of our business! Our testimonial is simple... We knew nothing about making a website but we had a dream and Shopping Websites has made our dream a startling reality reaching far beyond any of our expectations. During the process there were times we must have been a frustrating headache as we scrambled around trying to get our ideas across. Shopping Websites were a wonderful and understanding support. We are very very happy indeed and so are many others who have now begun to appraise our site. Faruk is fantastic. My web site is great, they punctual, courteous, honest and great for advice. They are also great for after sales service., I'm contacting them every few days for advice of some description and they are always happy to oblige. I would have no hesitation in recommending Shopping Websites and their services.